RICHMOND, VA – (Thursday, November 15, 2018) – The Richmond Kickers will host a Player Identification Session for U9 through U14 boys and girls (players born 2005-2011) interested in joining RVA’s top travel program for the 2018 spring season on Sunday, January 6, 2019 from 9:00-10:30AM at the club’s showcase sports complex, Ukrop Park (5300 Ridgedale Parkway). The Richmond Kickers U9/U10 program is the strongest developmental program in the region with an innovative format for players ages 8-9. The U9/U10 program has been meticulously designed to provide additional emphasis on technical and tactical instruction under the guidance of the region’s top coaches. The pioneering format offers a seamless transition from the highly successful Advanced Development Program (ADP) for players ages 6-7 to Kickers travel teams. 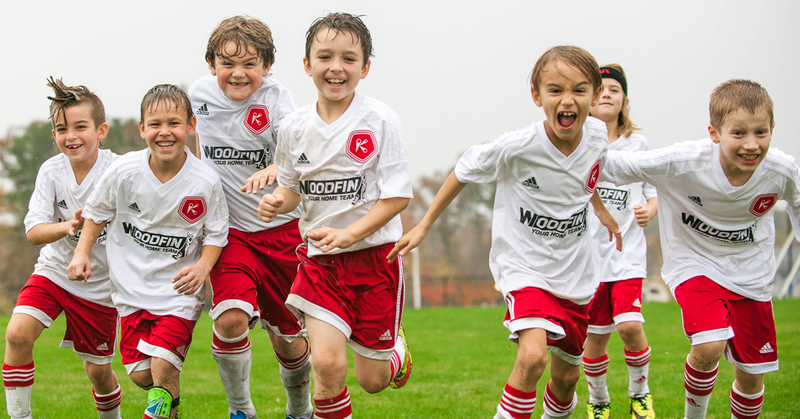 Competing in the Advanced Development Soccer League (ADSL), the Richmond Kickers’ U10-U12 teams emphasize technical and physical development while encouraging individual creativity and expression. The focus of the program is not on winning but on developing each player to his or her fullest potential and preparing the players for success in the future. Geographically based teams train twice per week and participate in an eight-game schedule played throughout the greater Richmond area, requiring very little travel for players and parents. Richmond Kickers U13-U14 Classic teams are members of the Virginia Soccer League (VSL) and compete against other teams from various clubs in the greater Richmond area as well as Southeast and Northern Virginia. Team tactics and various systems of play are introduced into the training program and players are encouraged to solve various problems within the context of the game or a particular situation on the field. Sessions are designed to create a fun and enjoyable environment for players that are passionate about the game. Richmond Kickers U11-U14 Elite teams represent the most competitive teams within the RKYSC structure. These teams may be comprised of players from all RKYSC geographic areas with the intent of fielding the strongest possible team. The Elite team will select the top players in each age group beginning at the U11 age group. The majority of our U11 – U14 Elite teams compete in the Virginia NPL / VA Premier League (VAPL) and numerous prestigious tournaments. In the age groups where multiple Elite teams are formed, some of the teams compete either in the Advanced Development Soccer League (ADSL) or the Virginia Soccer League (VSL). Fees for the Kickers travel program include up to two tournaments per season as well as winter and summer training. Uniforms for travel players mirror the Kickers professional team with top-of-the-line replica Adidas jerseys and shorts. As an added benefit, all players in the Kickers travel program have the opportunity to experience the atmosphere and excitement of Kickers Pro soccer with a complementary Family Pass, which offers admission for up to five family members to all Richmond Kickers professional regular season home games at City Stadium ($1,275 value). Ross MacKenzie, U9/U10 Director, manages the day-to-day operations and technical aspects of the Kickers U9/U10 program while overseeing all levels of player development for future Kickers travel players ages 6-8 through the Advanced Development Program (ADP). The former Richmond Kickers pro player and native of Paisley, Scotland holds a USSF B License and a USSF National Youth Coaching License and also provides technical direction for the Kickers recreational programs, the All-Star Academy and coaching education. Michael Burke, U11-U14 Technical Director, acts as the main technical point of contact for all of the Kickers U11 and U14 Boys and Girls, Classic and Elite travel teams, guiding players through innovative and high-quality youth development programming and excellence in coaching. Involved with the Kickers youth club since 2001, with a USSF B License, Burke currently coaches the Kickers U11 Boys Elite and the Kickers U12 Girls Elite teams. Holding the franchise record with 61 assists, the six-time Supporter’s Choice MVP honoree amassed nearly 18,000 minutes in a Richmond Kickers pro uniform over 11 seasons before retiring from professional soccer in 2012.